Neven Mrgan takes a prescription drug called Cuprimine. Without it, he would slowly die from liver disease. 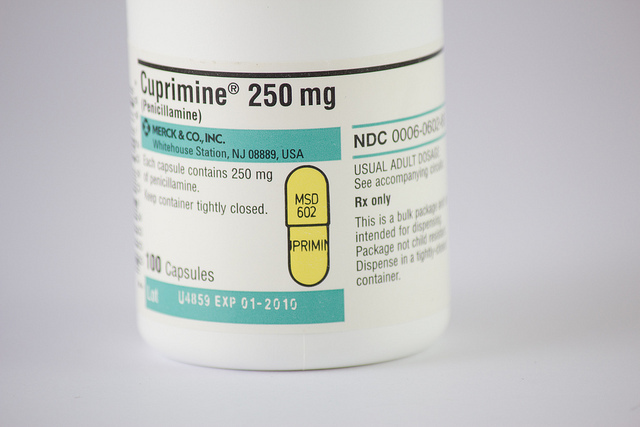 Unfortunately, the price of Cuprimine has gone from $400-$1,700/month to $44,000/month. Curprimine is made by Valeant Pharmaceuticals, run by billionaire J. Michael Pearson. He's stepping down, not because he jacked up the price of Cuprimine and other medications, but because the company's misstated earnings hurt its stock value. But Valeant’s habit of buying up existing drugs and raising prices aggressively, rather than trying to develop new drugs, has also drawn the ire of lawmakers and helped stoke public outrage against the growing trend of higher and higher drug prices imposed by big drug companies. This year alone, Valeant raised prices on its brand-name drugs an average of 66 percent, according to a Deutsche Bank analysis, about five times as much as its closest industry peers.